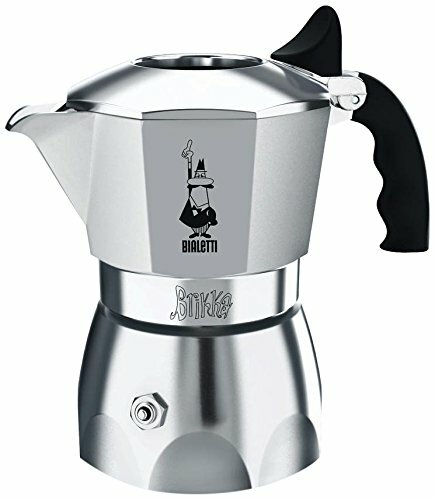 The Brikka Espresso maker, from Bialetti, has all the features of the original Moka Express but with an extra feature. 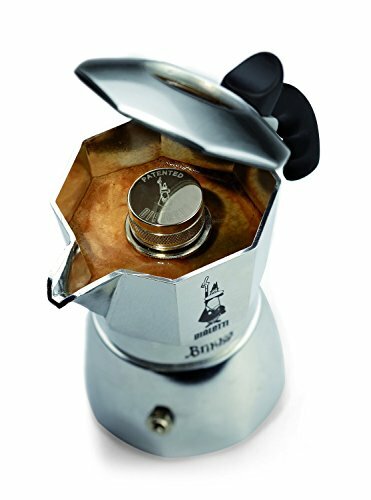 It contains a special valve which produces rich tasting coffee with the authentic Italian 'crema'. 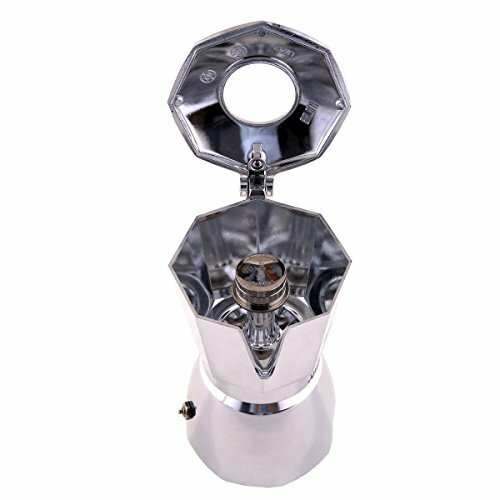 Has an open top lid which means that there is no longer a need to keep the lid open during the brewing process . 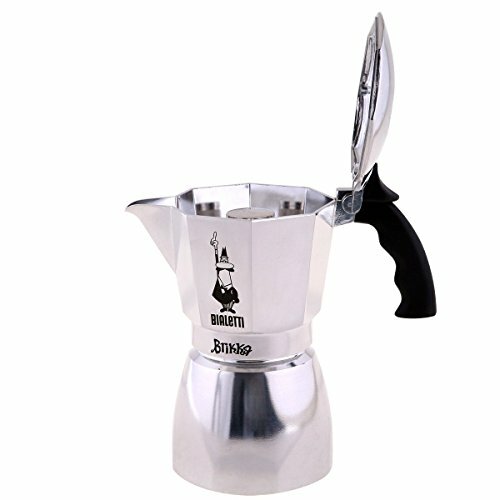 It is made from solid cast aluminium with black acrylic handle and knob. Please note that this cup size is based on espresso cup sizes and not on regular tea or coffee cup sizes. 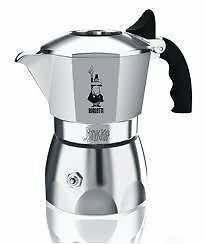 Suitable for all hobs except induction.